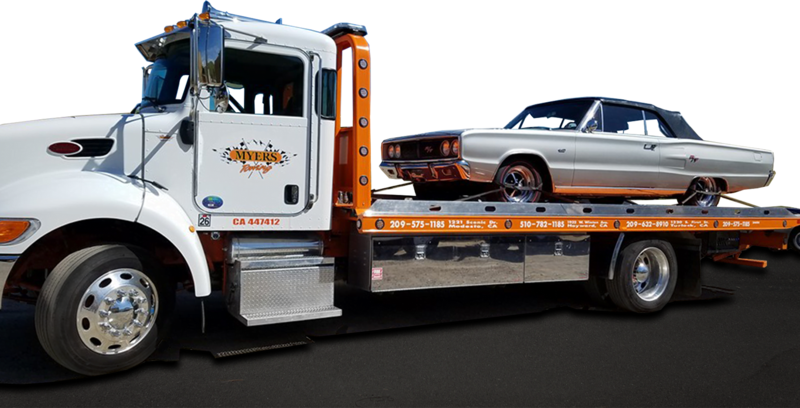 Welcome to Myers Towing; your premier tower and roadside service provider in California. Our experts bring over 30 years of experience in the industry for your added peace of mind. Myers Towing is fully licensed and insured for your protection and the protection of your vehicle. 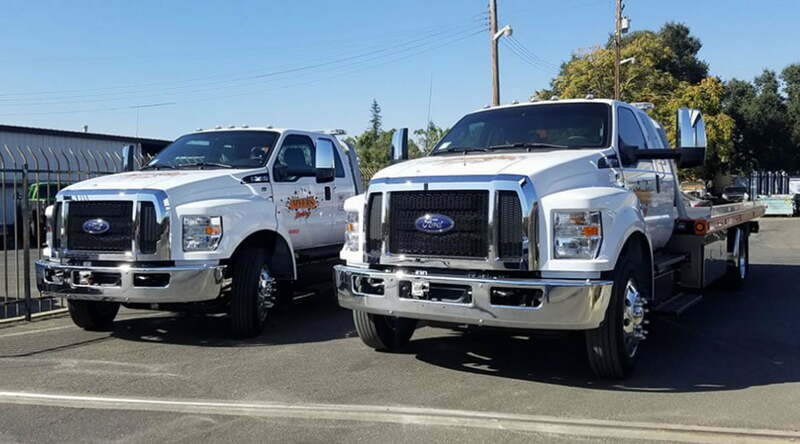 We offer U-Haul truck and equipment rentals at our Modesto and Turlock Locations. Myers Towing is a proud service provider for AAA, Allstate, Geico, State Farm, and many other insurance agencies. When using your road service program, you can request Myers Towing to assist you when making your call. We’re also an active member of the California Tow Truck Association. Our tow truck operators are certified by the CTTA training program. Billy Myers, a third-generation family member is a Certified Traffic Incident Management trainer and has traveled all over California promoting and training responder safety, safe and quick clearance of incidents, and reliable communications to tow truck operators, emergency medical technicians, fire fighters, law enforcement officers, and public utility and department of transportation responders who all work together to clear roadway incidents. On average, 50-60 towing operators are killed a year while working or responding to an incident scene. Always keep that in mind and please slow down or move over when operating a motor vehicle and you see a roadway worker.